In 2016, I was invite to create a series of posters for the ‘Geek-Art’ expo, in Glasgow. Megabytes, a coffee shop themed around the cultures of fictional and interactive universes exposed a dozen of Artists on their walls for several weeks. 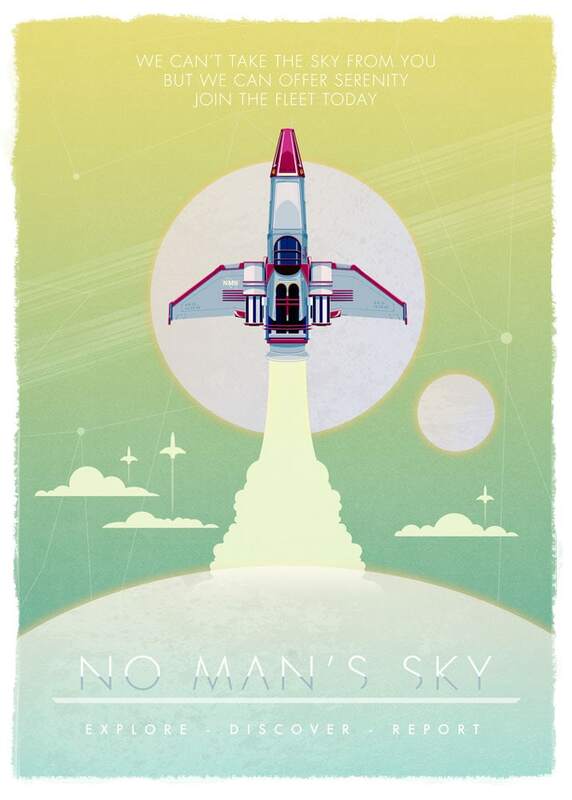 For this occasion, I created this poster for the acclaimed game No Man Sky, inspired by retro-futuristic designs seen in video games, movies and depicted in novels. 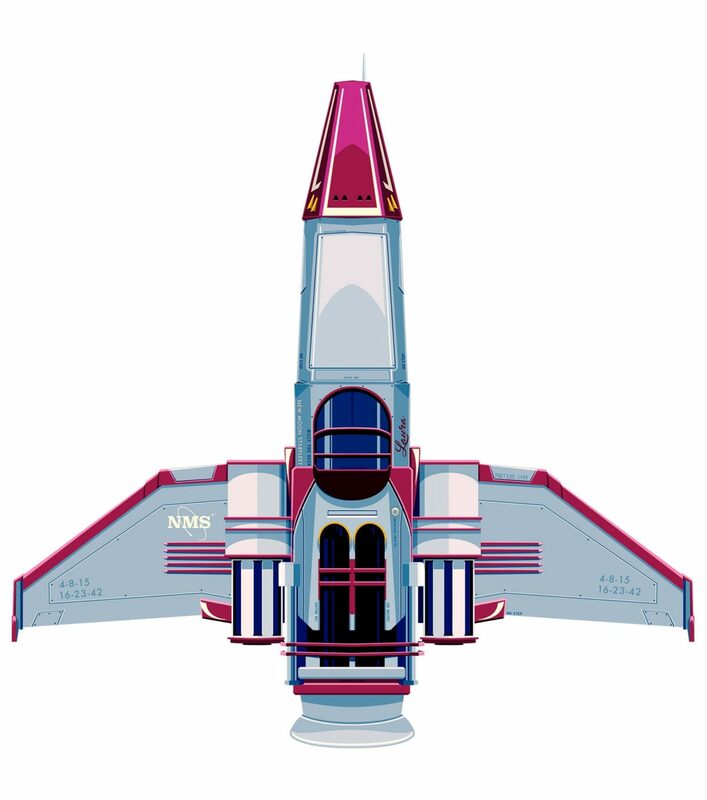 The ship itself is a very detailed design and the poster as a whole contains in itself more than 10 pop culture references.